The interim government has reduced allocations for petroleum product subsidies to approximately US$14.5bn. The Egyptian interim government announcement its budget for the coming fiscal year Monday, in which it has reduced allocations for petroleum product subsidies to approximately US$14.5bn compared to US$18.bn for the current year which ends this June. According to an official statement from the finance ministry, the electricity subsidy bill was increased to US$46.1bn as opposed to US$ 2.5bn in the draft budget that was submitted to the president. The new budget stated that half of what was provided in subsidies for petroleum products would be allocated to subsidize electricity. The Ministry of Finance has since referred the state’s general budget to the presidency for approval. The government’s reduction of energy subsidies which eats up 20% of public expenditure is seen as a critical to economic reform. However this has raised fears among citizens over price rises, as one quarter of the population lives below the poverty line. Ahmed AbouHashima, chairman of Egyptian Steel, says reforming the subsidy system is a good step that should be followed by programmes to improve the lives of the poor. However, he adds that it is time to lift subsidies for those who are able to get on without them in order to reduce pressure on the state budget, which faces chronic deficits. AbouHashima sees any price rise by the government on gas for energy-intensive factories, such as steel or cement, as inevitable and notes that this will cause price rises of their products. The government is yet to disclose details on subsidy cuts in its budget, and whether they will raise prices for gasoline or natural gas for factories. AbouHashima fears price hikes on basic commodities if prices for items like diesel fuel are raised. He calls on the government to develop a plan of social protection to guarantee monetary support in order to lessen the burden of price rises on the poor, while also speeding up the development of consumer cooperatives to provide greater diversity of basic goods, which would also ease the burden of rising prices. On the other hand, former Petroleum Minister, Osama Kamal, says the government will not be able to meet the petroleum subsidy bill it has set in the budget for the 2014/2015 fiscal year. Kamal said that measures to be taken to cut these subsidies should have been announced at least one month before the budget. He emphasised that it will prove difficult for the coming government to take any action to alter prices in light of an unstable economic situation for citizens, and it was necessary for the state facing an increase in vehicle gas usage to keep abreast of developments and provide cars that run on electricity. Kamal says Arab countries offered a petroleum grant last year valuing US$ 11.18bn which aided greatly in providing petroleum products needed for the domestic market in light of an inability to provide necessary liquidity for imports. Walid Al-Hilal, chairman of the Export Council for Chemicals, says factories do not mind price increases in the gas they are getting as long as the government continues to supply the necessary quantities in a timely way, as supply shortages in fuels for factories decreases their energy supply and raises the cost on their final products. Al-Hilal fears the repercussions of price rises on diesel fuel for basic commodities, but expects the market to gradually absorb the increases, as long as the government steps in to resolve logistical issues related to transportation and storage, which have caused losses accounting for 30% of price rises. According to predictions by Medhat Youssef, oil expert and former Vice President of the Egyptian General Petroleum Corporation (EGPC), the local market requires approximately 18bn litres of diesel for the coming fiscal year and in order for the government to implement its subsidy ration plan, diesel should be raised to EGP 2.10 from 1.10, which will save US$ 2.5bn. 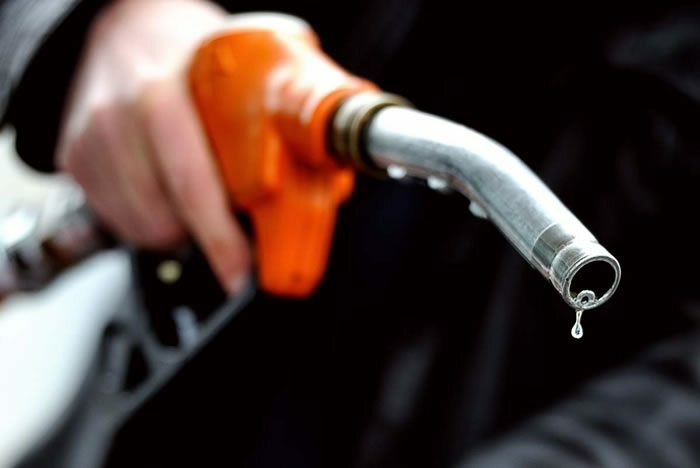 In terms of gasoline, the local market will require approximately 10bn liters during the 2014/2015 fiscal year, and the government must add EGP 1 to the price of a liter in order to provide for the US$1.3bn value of the subsidy bill. Youssef says the government is likely to raise the prices of liquefied petroleum gas outside of the smart card system and will be sold to the consumer at free trade prices in order to allow it to generate at least US$700m. Salah Sobky, former head of the Energy Research Center, notes that the government’s increase of electricity subsidies for the coming fiscal year will be utilised to fund new and renewable energy projects and pay part of the electricity generation subsidies to producing companies. He pointed out that the numbers for subsidy allocations will change after a price increase to sell electricity to industrial producers, according to a proposal that is currently being studied by the cabinet. In recent times, Egypt has experienced repeated blackouts because of the shortage in fuel supplies to power stations. Now, the government intends to allow steel companies and cement factories, to use coal as an energy source in a move aimed at reducing dependency on the government’s subsidised natural gas, and reduce the possibility of higher prices on final goods if the price on gas for factories is raised. The state spends 13% of its annual budget on supplying fuel and electricity for companies and consumers at prices far below market value.